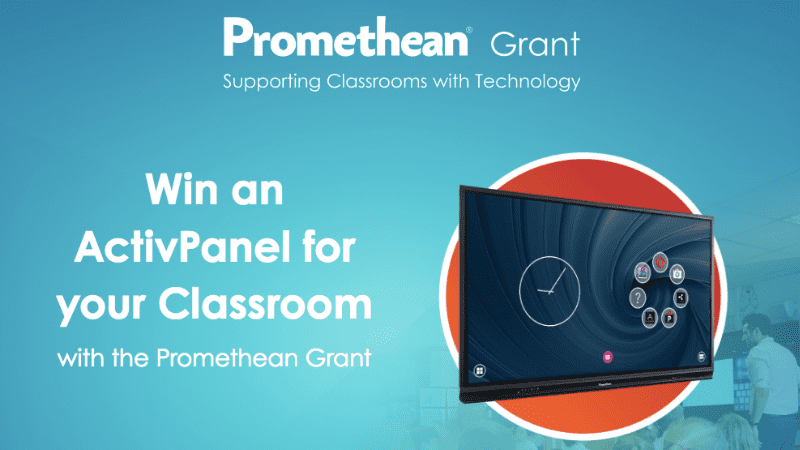 For a chance to win an ActivPanel for your classroom, visit the Promethean Grant website to learn more and upload your video. Does your classroom whiteboard need an upgrade? To celebrate its 20th anniversary, Promethean is donating 20 ActivPanels to schools across the US through the Promethean Grant. To enter, just create a short video explaining how your students would benefit from having a Promethean ActivPanel in the classroom. Do I need to be Steven Spielberg to win? We know what you’re thinking—video production sounds intimidating. But your entry doesn’t need to be Oscar worthy to score an ActivPanel. A video recorded on your iPhone can be just as great as one that uses fancy video equipment or editing software. Focus on creating a short video (60-seconds or less is great!) that involves your students and tells the story of why your classroom needs an ActivPanel. I want to enter! What should I do next? Just go to the Promethean Grant website to learn more and upload your video between now and December 1, 2018. Can you show me some example videos? If you need a little inspiration, check out the videos below, where students explain why they need Promethean ActivPanels in their classrooms.